I have no evidence but that will not stop me from moving boldly forward. 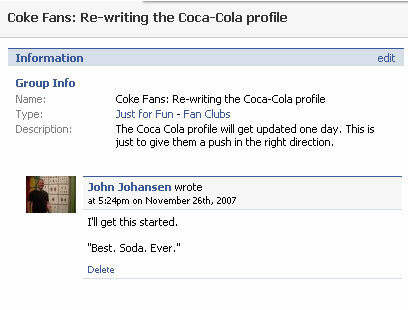 When I logged into facebook tonight to do some follow-up work on my Coke group, I noticed that I was no longer a fan of Coca-Cola. Thinking they may have booted me, I tried searching for them. The Page wasn't in the results. I tried going back to Technobabble 2.0 to get the original Page URL. Still nothing. 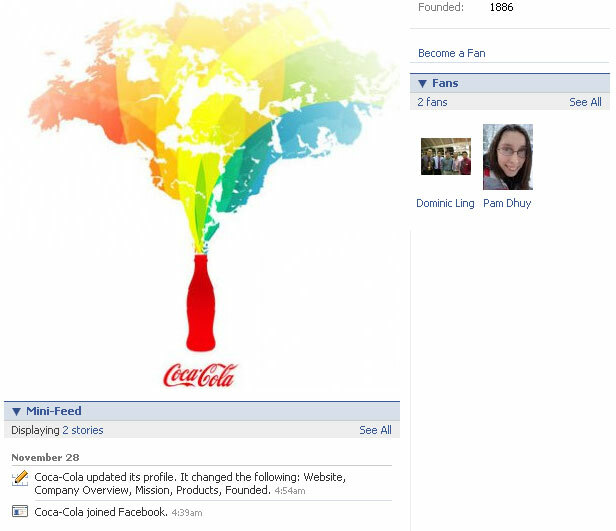 I'm hearby taking partial credit for my facebook group pushing Coca-cola to remove their original facebook page and put up a new one. I'm sure it had nothing to do with this. I am a marketer. 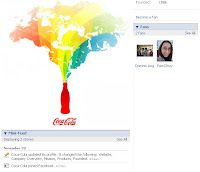 The role of content as a marketing tool as increased with the rise of Internet search and social media. As audiences continue to fragment, companies will need to continue to focus on creating diverse content that can be published and shared broadly. 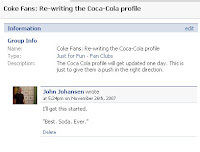 The views expressed on this blog are my own. They may not be representative of the views of my employer, relatives or friends.